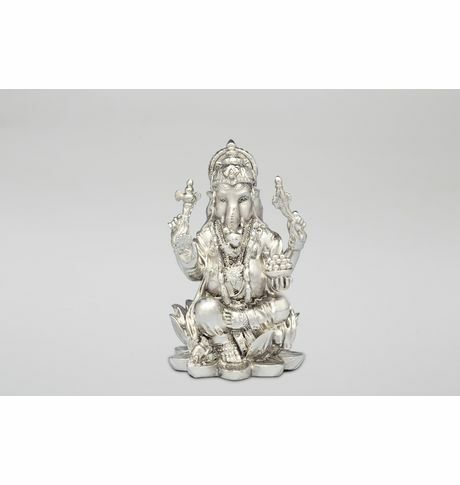 A dazzling Ganesha idol crafted in silver vacuum plating with antique finish is apt for religious ceremonies or can be an ideal gift option. The embossed ornaments make the idol stand out.Easy to maintain. A dazzling Ganesha idol crafted in silver vacuum plating with antique finish is apt for religious ceremonies or can be an ideal gift option. The embossed ornaments make the idol stand out.Easy to maintain.Cancellation and Return Policy: • Exchange allowed post booking • No order cancellation or Refund transaction allowed at the store.